The category broadly described as wood furniture includes more designs than any of us can imagine. 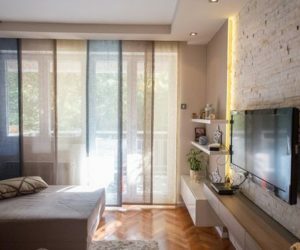 The usual dining table with a rectangular top, the classical bookcase or the traditional coffee table are merely a small portion of what this concept actually describes. 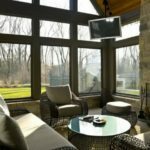 Given the amplitude of the category, we can easily assume that wood furniture is suitable to any style and can take unique forms designed to make any space look and feel beautiful and pleasant. 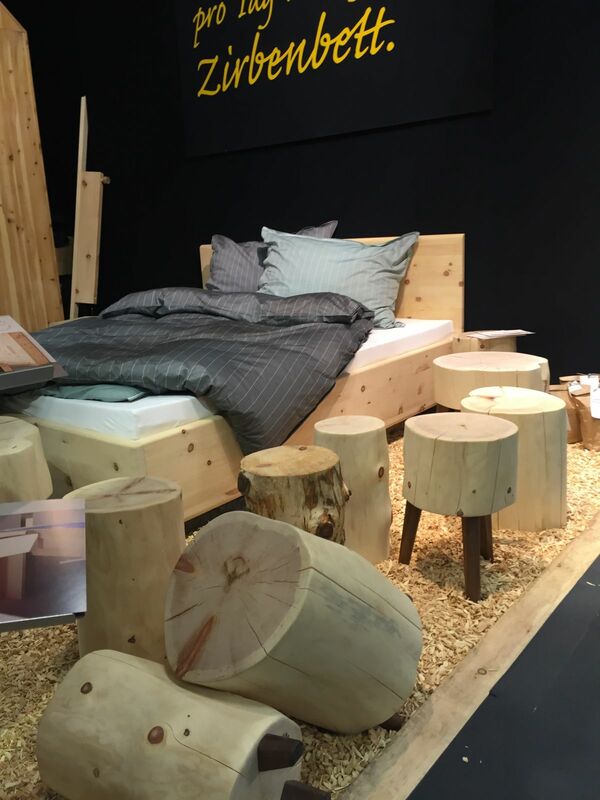 Together we’ll explore a few unusual designs which take wood furniture to a new level. 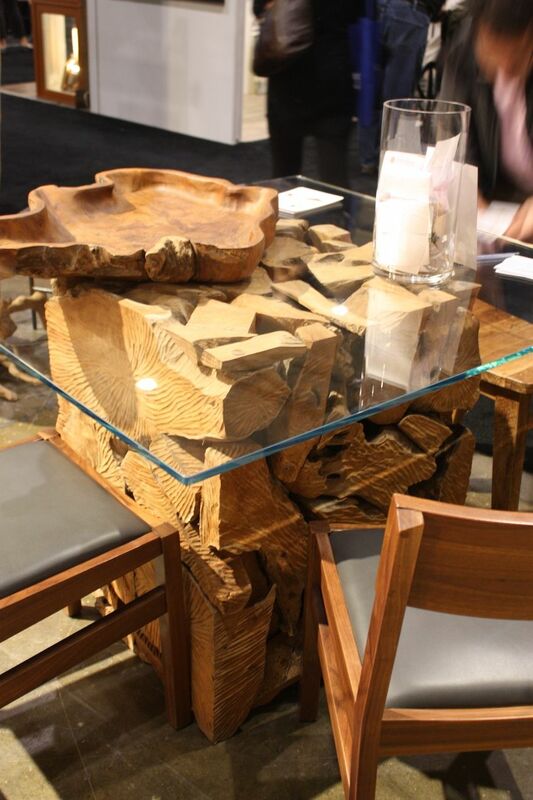 A wooden piece of furniture can be beautiful even if it’s not very polished, with smooth edges and a perfect finish. 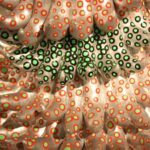 In fact, a lot of designers choose to ignore this preconceived approach and to reveal the material’s natural and organic beauty. 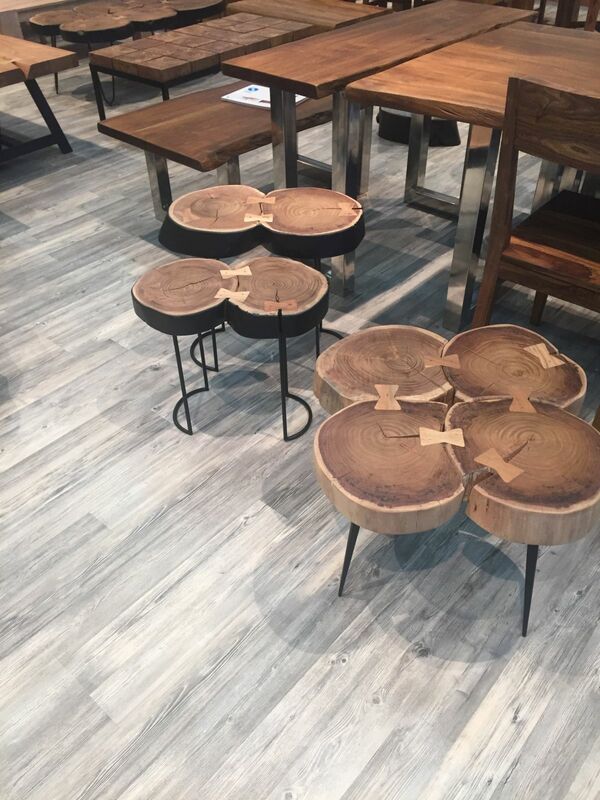 By not hiding the wood’s imperfections, pieces such as the Nuparc coffee table become a part of our home’s decor and contribute to its overall charm. 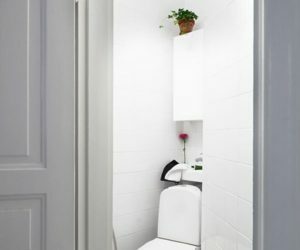 Some designs even use portions of wood which are usually discarded or overlooked. 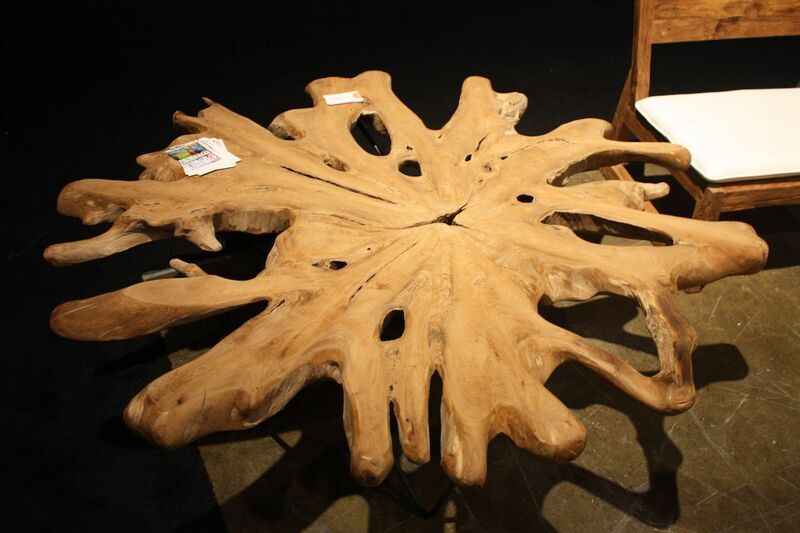 A good example is the Teak root cross section coffee table. 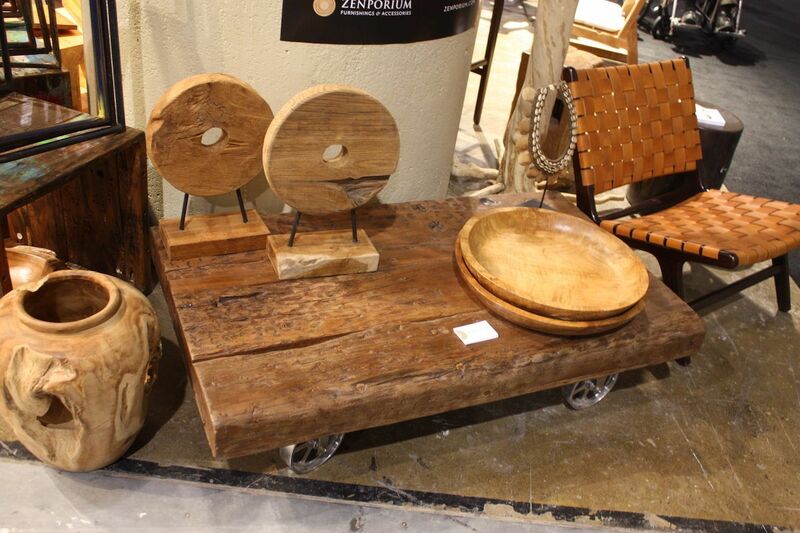 This is a piece made from teak roots, a portion of the tree which is not usually used for anything. 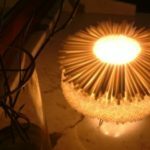 They are salvaged and then used in the creation of one-of-a-kind tables designed to make living rooms stand out. 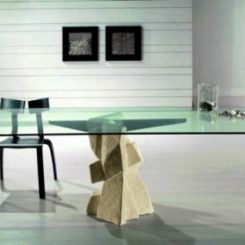 Not only that each table is unique but they also all share in common sculptural designs. 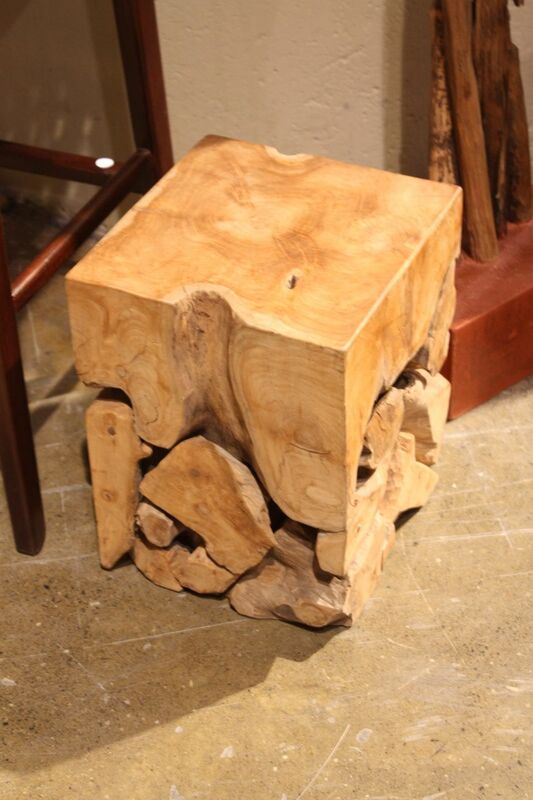 The Tero teak root blocks are also made from the same neglected portion of a Teak tree: its roots. 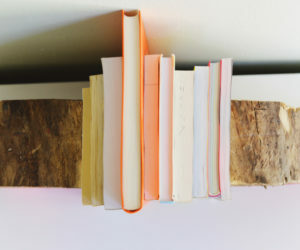 In addition to being special from this point of view, these blocks of wood are also multi-functional and very versatile. 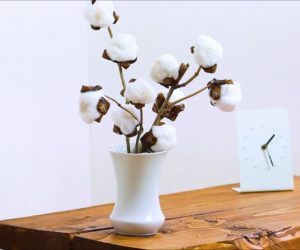 They can be used as side tables, stools or even as coffee tables. 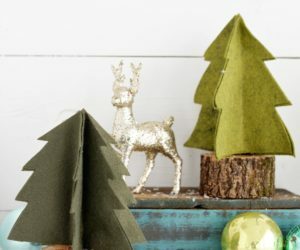 They can be used as individual pieces or used together as a set. 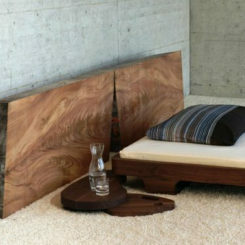 The simplicity of the design also allows such a piece to be used as a nightstand in the bedroom. 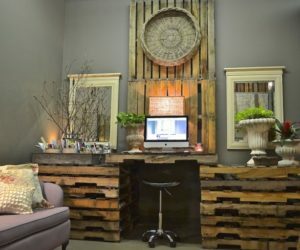 Reclaimed wood furniture is quite fashionable these days. 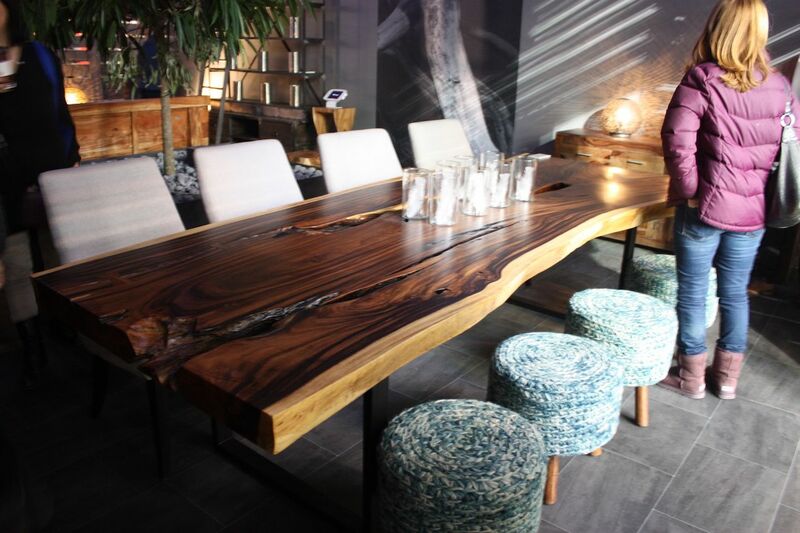 Creations such as the Erosion teak dining table stand out. This is a piece of furniture crafted from reclaimed teak wood which has been treated, hand-chiseled and then pieced together to form a block base with a sculptural and always unique structure. The glass top allows the base to stand out and to be admired from all sides. 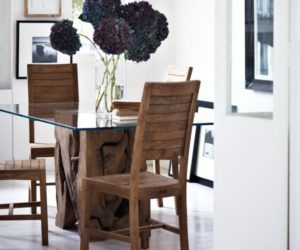 A simple and stylish way of adding class and beauty to a dining room is through a one-of-a-kind dining table. 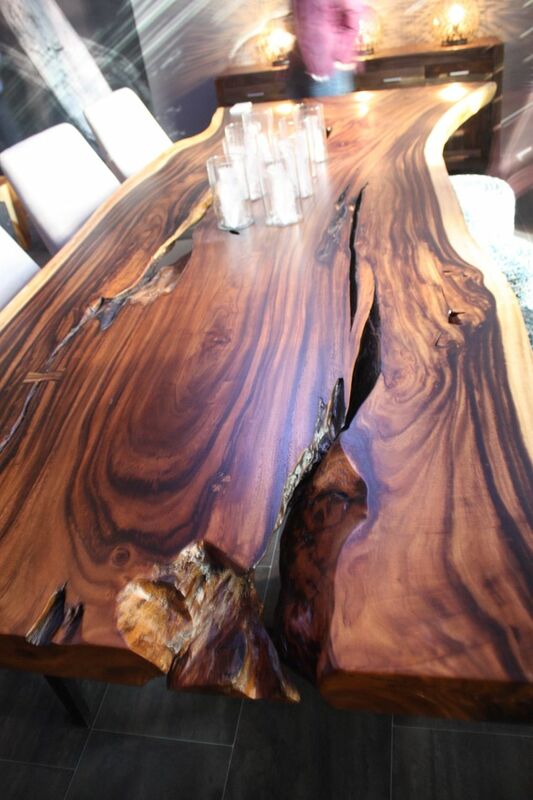 A table with a live-edge wood top would be perfect. 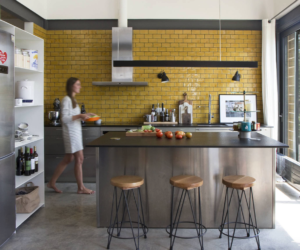 You can pick one with a industrial-style metal base if you also want to create a contrast of styles. 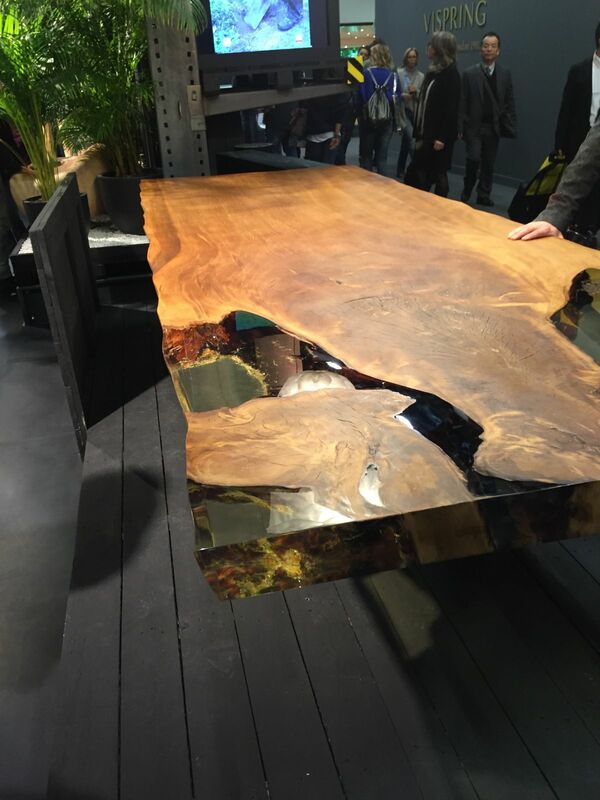 A good option in this case would be the Freeform dining table made of suar wood with unique cracks, knots and markings which add character to each piece. 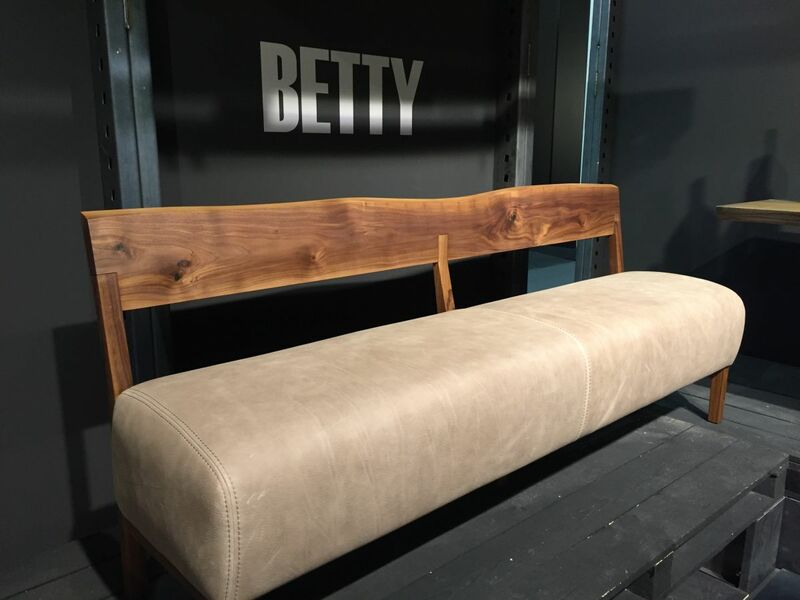 Betty is an interesting piece of furniture for several reasons. 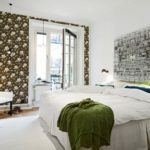 Its design is unusual and this makes it difficult to include this piece into a specific category. You could call it a bench, a sofa or even a sectional in its L-shaped version. 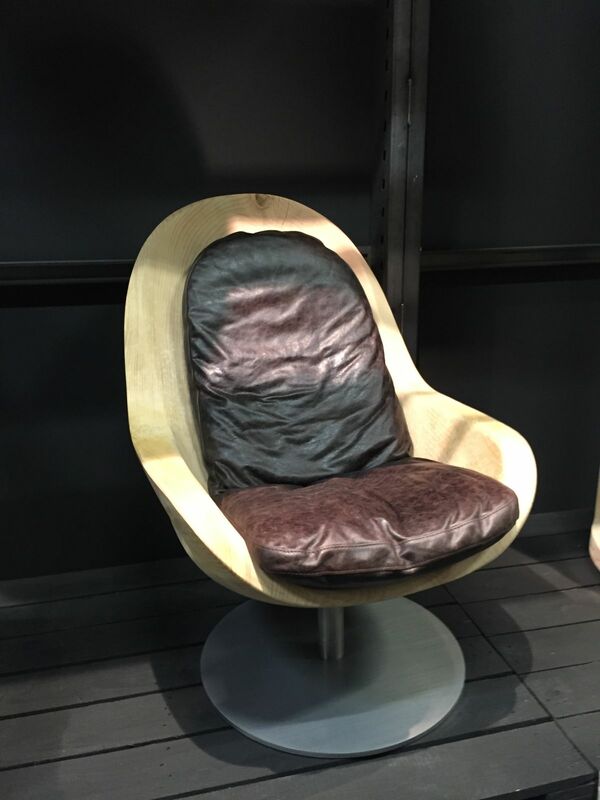 It was designed by Terry Dwan and it has a solid wood back with an organic shape which allows it to emphasize the material’s natural qualities. 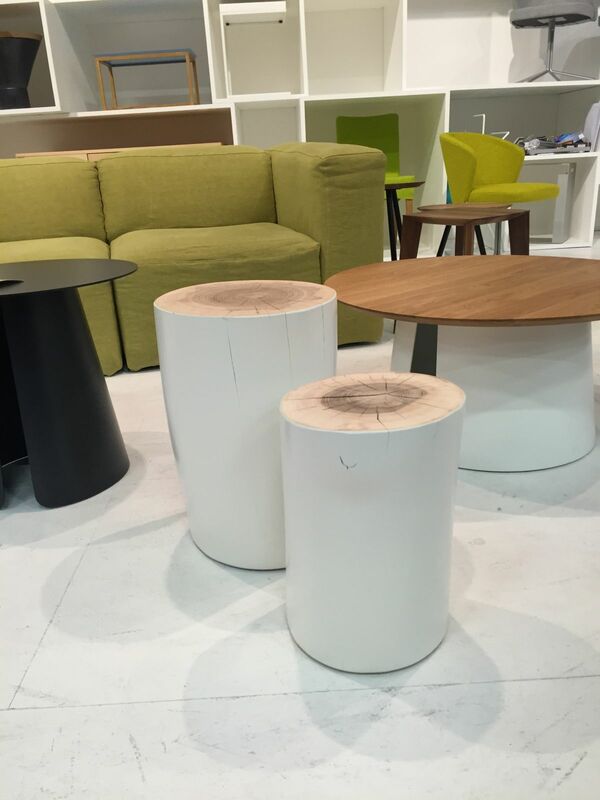 When it comes to solid wood furniture, a few suggestive pieces and designs come to mind and these stools are among them. 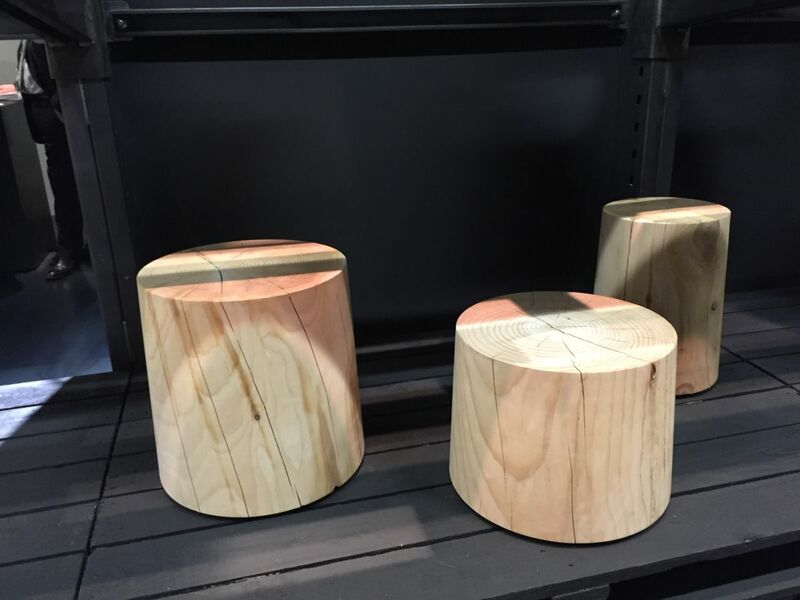 Stools made from a single block of wood are popular and not just in rustic settings. The Fiji solid cedar wood stools by Terry Dwan stand out with their barrel-shaped structure and slightly concave seat. 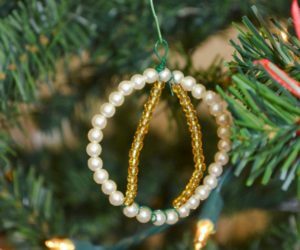 Similar pieces can be designed or customized to match a particular decor. 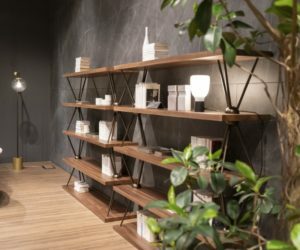 If you want a piece of furniture that can serve as a functional piece and also as a decoration, Molletta seems to be a good option. It was designed to serve as a bench as well as a sculptural element. 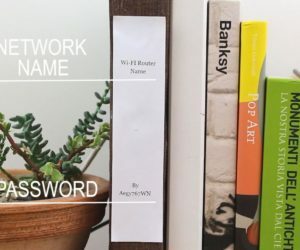 You can use it in a variety of settings including outdoors. 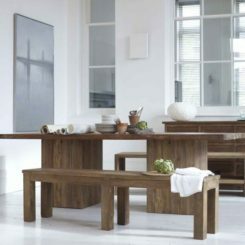 The bench is made of solid wood, is completely natural and hand-finished. 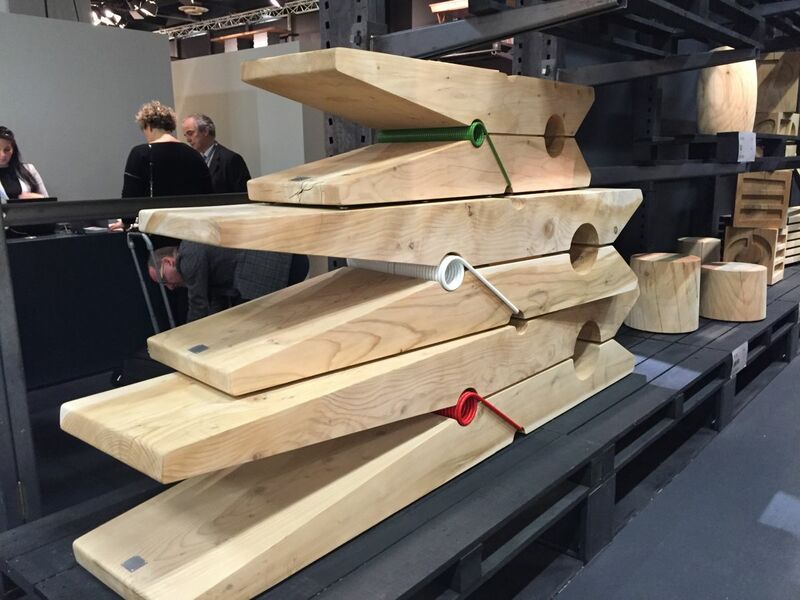 It’s a beautiful example of unfinished wood furniture which takes full advantage of the material’s unique characteristics. The sinuous lines which define the design of the Creus armchair allow it to be ergonomic and to look sculptural at the same time. 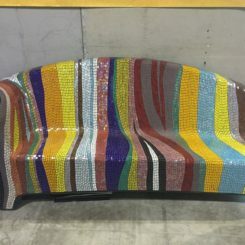 This is a piece designed for use in living rooms and lounge area. 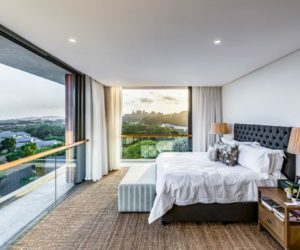 It’s meant to be comfortable and relaxing and to also look eye-catching. 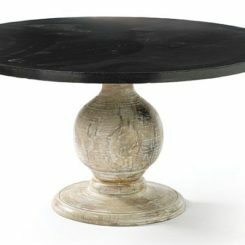 The wooden seat is attached to a revolving base made of opaque satinized metal. 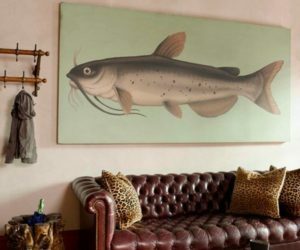 It can be customized with vintage-looking leather upholstery. The Maui armchair designed by Terry Dwan is carved out of a single block of wood. 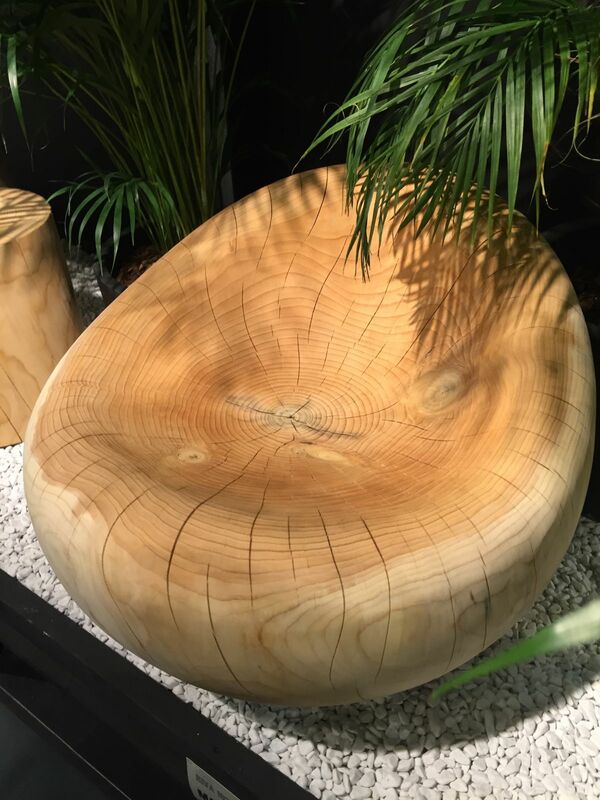 It’s hand-finished and reveals the concentric circles of the cedar trunk section it’s made of. This is a versatile piece of furniture suitable for both indoor and outdoor spaces. You can customize it with a variety of seat covers or cushions. 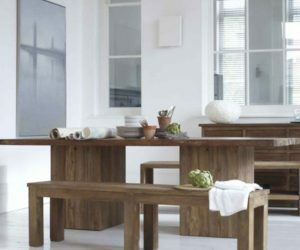 Real wood furniture is always unique and this is particularly true in the case of live-edge designs. 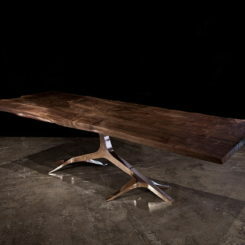 The Cube table has a stunning top made of ancient New Zealand Kauri wood. 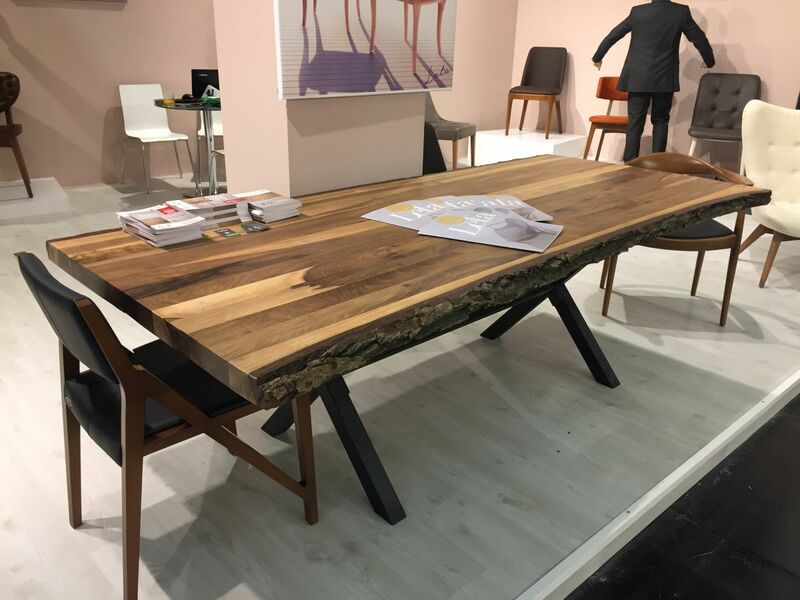 The table combines old and new, rustic and modern in a lovely way. 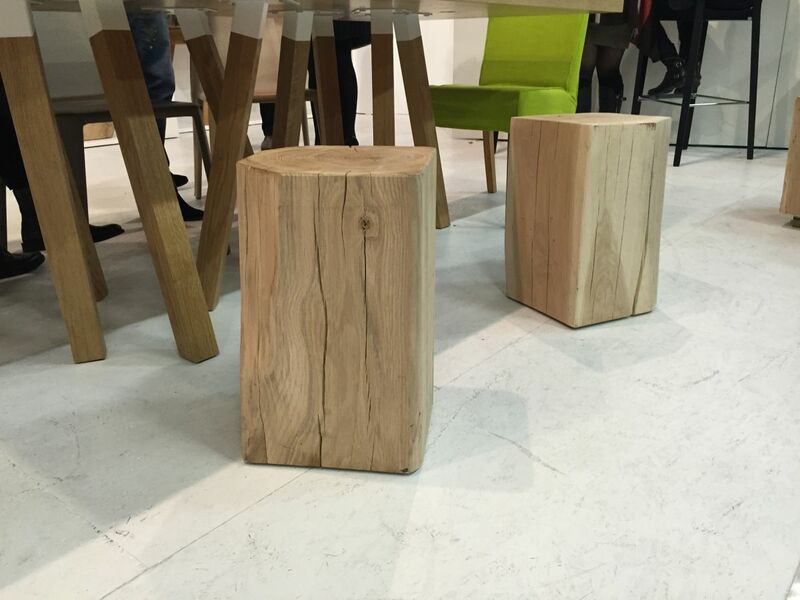 The ancient wood is used in a contemporary design in combination with a natural iron base. The top features transparent resin inserted into the cracks. 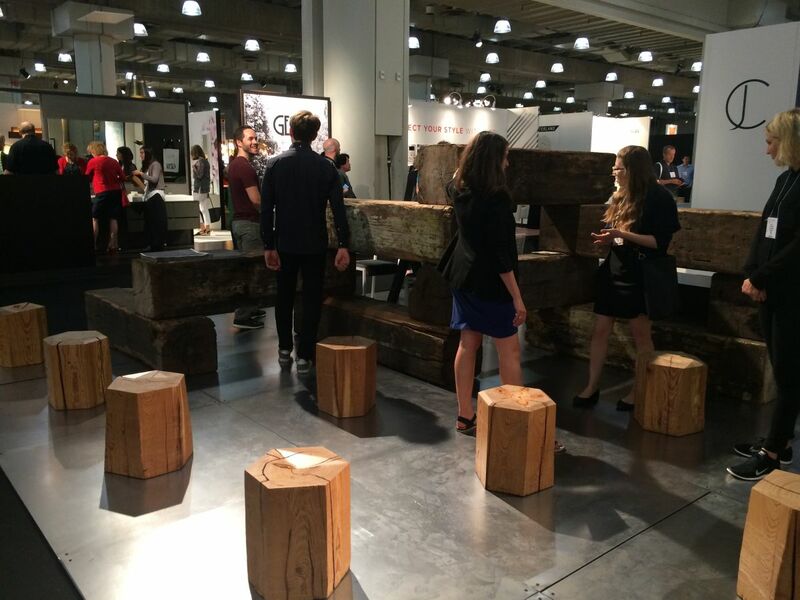 The story of the Domino Sugar Stools starts with a series of reclaimed beams from brooklyn’s Domino sugar refinery, hence the name. First a cube is cut out and then the piece is cut down into a hexagon using a chainsaw. This reveals the wood grain as well as a unique finish. The stools resulting from the process are solid, robust and versatile and can also be used as side tables or nightstands. 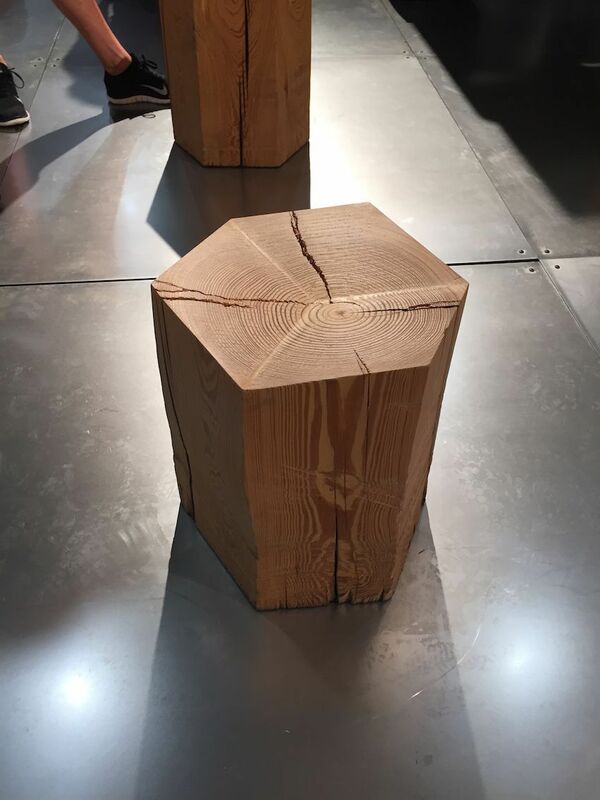 Solid blocks of wood turned into stools can take many different forms. 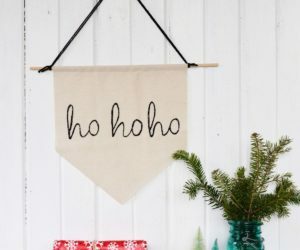 The usual rectangular shape is one of the most popular options. These accent pieces of furniture are simple and versatile enough to be used in a variety of different settings. 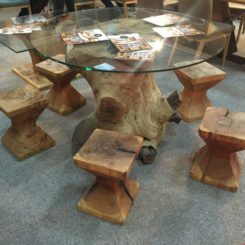 These are further examples of how versatile tree trunk furniture can be. 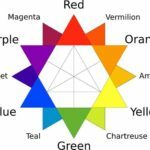 The most beautiful thing about it is that each piece is unique and no two are the same. 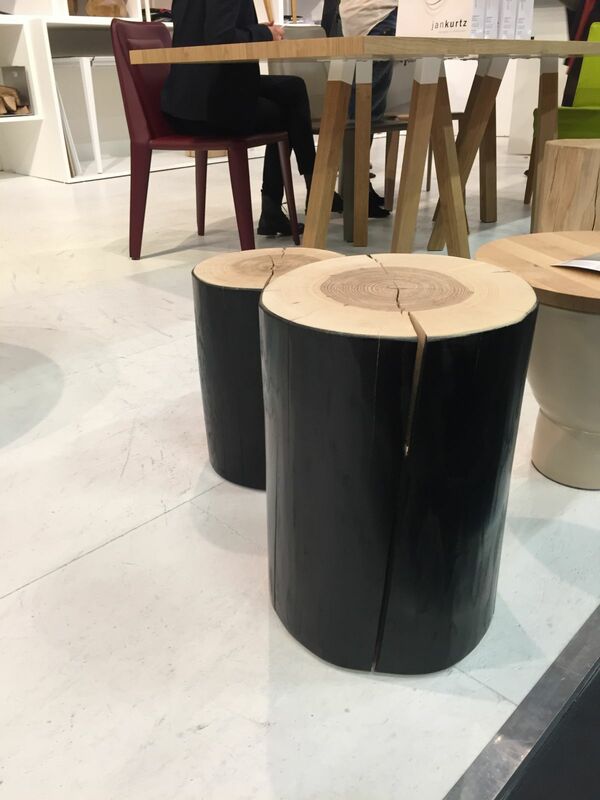 As you can see, there are many great ways of using cut out tree trunk sections, either as they are or with attached legs designed to turn them into chic tables. 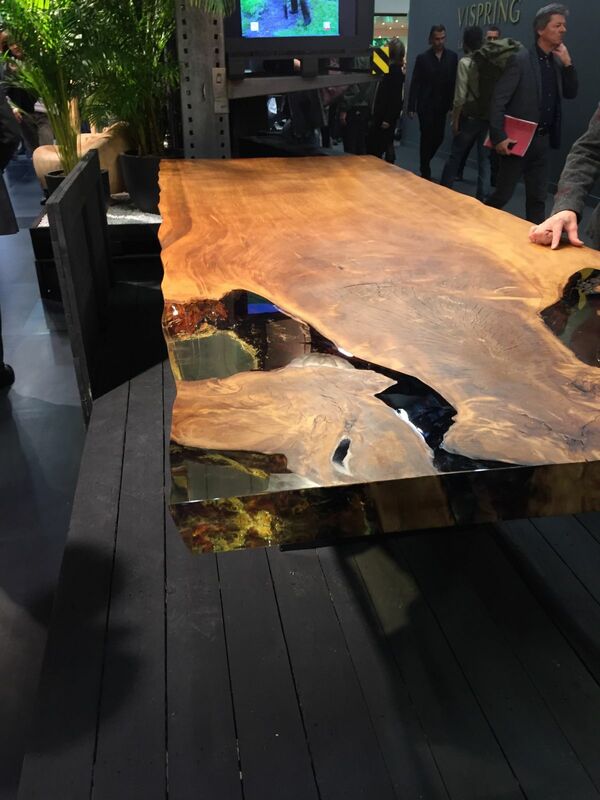 Live-edge tables are very simple at their base. 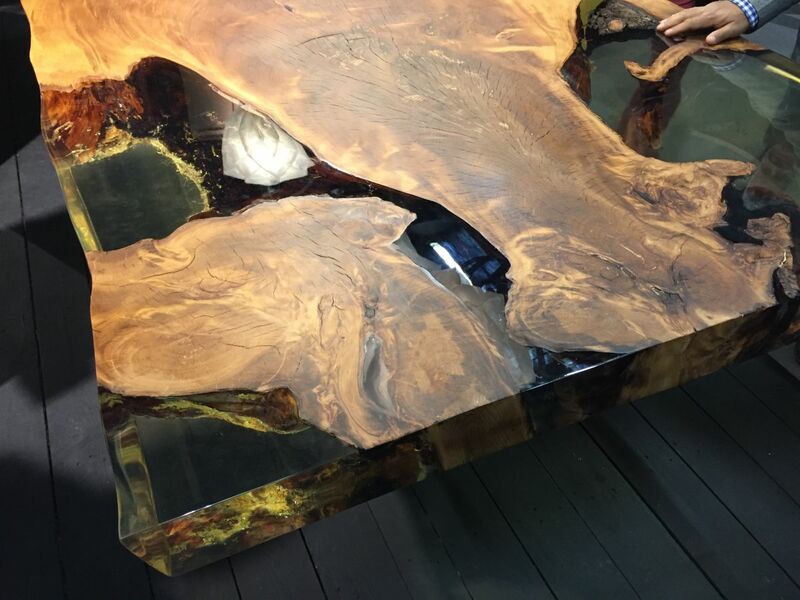 They expose the wood’s grain and organic characteristics and can be customized using resin in order to obtain a smooth and uniform surface. 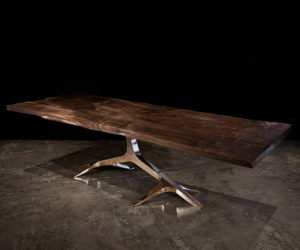 Such tables usually feature metal bases and combine rustic, modern and industrial details in a balanced and natural way. 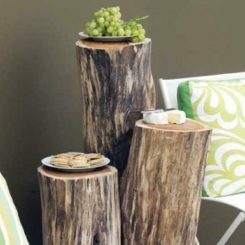 As mentioned before, stools and end tables made of solid blocks or wood or of wood slices can either be used individually or in sets. Some designs even combines them. Check out these versatile pieces featuring two or more blocks of wood attached like pieces of a puzzle to form a larger piece of furniture.